You can find many free forms for pro se “motion to modify probation or community control” in Florida with a quick internet search. However, without the aid of an experienced Fort Lauderdale criminal defense lawyer, there are a lot of things that can go wrong. 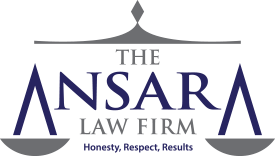 At The Ansara Law Firm, we work to give you the best possible chance of securing more favorable probation terms so that your life, employment and relationships are less restricted as you finish your sentence. Things like curfews, travel restrictions and sometimes “no contact” orders can be eliminated or revised to allow for more appropriate sanctions. In general, though, expect that the court will only grant modification of your probation with good cause. Further, your chances of being successful will be hindered greatly if you haven’t been faithful in meeting the terms and conditions of your community supervision thus far. Live without violation of any law (it’s not necessary to be convicted for such a violation to constitute violation of probation). The court has discretion on imposition of other special conditions, too, depending on the crime for which you were convicted. For instance, if you are convicted of a crime that involves harm to children, you may be restricted from contact with children under 18 unless supervised by an adult with knowledge of those charges. The conditions probationers most commonly seek to modify involve issues of employment, education and living restrictions. In some instances, this modification can be as minor as requesting the department verify employment via pay stubs, rather than a phone call to the employer, to avoid potential termination once the employer learns of the criminal offense. In other cases, we may request modification of requirements to remain in a certain city or county, usually due to changes in employment, schooling, finances or interpersonal relationships. Sometimes, meetings with probation officers can become time-consuming and burdensome, potentially threatening your gainful employment. For instance, if you are required to meet with your probation officer every Monday morning, that has the potential to harm your efforts to maintain gainful employment. A request for modification could result in a reduction of the frequency of these meetings or altering the time and place. Health issues may also be good cause to request for modification of probation. Modify restrictions on whom you can associated with (usually close friends, family members or significant others). In general, any modifications will require a scheduled hearing before a judge. It helps your case if you have displayed good conduct while on probation and have shown a good faith effort to meet all the court-ordered requirements. You have the right during your probation modification hearing to be represented by counsel and the opportunity to make a statement and present any information that could serve to bolster your stated mitigating circumstances. The strength of your request will be case-specific, depending on the crime of which you were convicted and the modification for which you were asking. Having an experienced Fort Lauderdale probation lawyer to assist is critical. For information on modification of probation in Florida, contact the Fort Lauderdale Criminal Defense Lawyers at The Ansara Law Firm by calling (877) 277-3780.